Opinionation with Imagination | My Opinions, Reviews and Imagination. My Opinions, Reviews and Imagination. Hey there! Thanks for dropping by Opinionation with Imagination! Take a look around and grab the RSS feed to stay updated. See you around! I sat down and thought about where my life is heading, I can’t seem to think what’s really missing. I was asked by a close friend if I was really ready to move on with life and I had no response to his question. I have a fear for my future after seeing things around me. I hear people not agreeing and I don’t understand what’s really missing in their lives. I feel like I’m trapped in a place where I have no one to talk to or even look to for advice. Yet I still keep living for the sake of myself and others. I can’t seem to close my eyes and just dream that this is not real. I want to feel as there is more to life, but where to start is the true question. How do I pull myself out of this loneliness, that’s filled with sadness? I’m not depressed, but just sad thinking why is this happening to me, what did I do to deserve this. But if I open my eyes and truly look it’s not just happening to me it’s happening to my whole family. As I look at my past, I see so many mistakes that I made, is this something that is reflecting my future. I think about the days I was in school and how I didn’t take things seriously then. I look and see the greatest opportunities that were available to be then and regret not following my dreams in pursuing for a better future. I remember a particular friend that was close to my heart and I pushed him away by turning my back on him. Now thinking about it I feel I was scared of the out coming results. Till this day I still think about him and try to resolve things. We are still friends today but it’s not the same. I recently learned about someone that made a mistake in life and if that person could take it back they would, but what’s done is done. Thinking about that person’s mistake, makes me think if I should be a part of it. I can’t ignore the situation knowing that it’s occurred to someone close to me. I want to be a part of that person’s mistake, though I don’t know how to ask them whether it’s ok or not. I want to learn more about that person’s mistake and see how close that person is to their mistake. Is this mistake going to be part of this person for a life time or just a brief part of life? So many questions and thoughts come to mind, but where to get the answers is just a mystery. Wait I should be looking at life from a different prospect, I mean at least I have a life that I can live normally. If I open my eyes wide enough I can see that there are so many that are struggling with either an illness or a location where life isn’t easy. People everywhere have their own problems and situations that they are dealing with and some have people they can talk to while others have no one to understand them. I have an open heart for all those that can’t live their lives like they want to because of what was brought onto them. I have a heart for those that live in a place where nature takes its course to make changes while destroying what’s in its path. 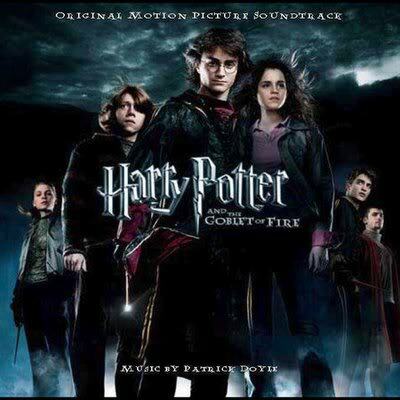 Harry Potter and the Goblet of Fire directed by Mike Newell released in 2005. This movie begins with Harry entering his fourth year at Hogwarts. Harry is awakened in the Weasley’s home with a strange dream with the Dark Lord and his Death Eaters. Soon after Harry, Ron, Hermione and other Weasley members depart the Weasley’s home for the 422nd Quidditch World Cup game, shortly after the game, the camp where harry is staying is attacked by Death Eaters leaving the Dark Lords mark in the skies above. The three arrive at Hogwarts, where they find out that the school will be hosting the legendary Triwizard Tournament. In this tournament three students will take part competing in three dangerous events. Two of the students will be from rival schools and one from Hogwarts. Although, to take part in this competition you must be 17 years of age, meaning harry or his friends cannot take part. When the rival schools of Beauxbatons and Durmstrang arrive, the rules are announced. Meanwhile, Alastor “Mad Eye” Moody arrives to Hogwarts in request from Dumbledore to be the new Defense against the Dark Arts teacher. 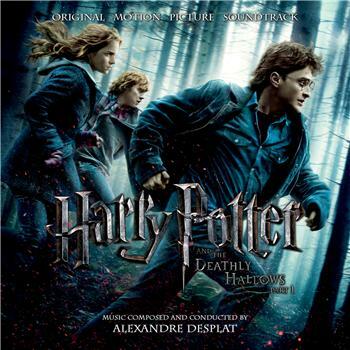 The Three champions are selected from the Goblet of Fire, Cedric Diggory representing Hogwarts, Viktor Krum representing Durmstrang and Fleur Delacour representing Beauxbaton, but suddenly and unexpectedly the goblet of fire produces a fourth name Harry Potter, though he is under-age must still participate according to the rules. The Triwizard tournament begins with the first event, where the four champions must battle a dragon to retrieve a golden egg. Harry uses his wand to summon his broom, using his broom Harry flies out of the arena. The dragon breaks free and chases harry through the school grounds, where it runs into a stone bridge and falls dead and Harry wins by retrieving the Golden Egg. The golden egg is clue about the second task, Harry opens it to hear a horrible screeching sound, and now its up to Harry to figure out how to get the next clue from the Golden Egg. The school than informs the students of the Yule Christmas Ball held during the Triwizard Tournament. Harry and Ron find it hard to get dates, but finally are paired with the Patil twins, while Hermione goes with Viktor Krum; everyone is stunned with her beautiful appearance at the ball. Harry gets informed by Cedric, the other Hogwarts champion on how to retrieve the message from the Golden Egg. Harry does as told and receives the next clue which mentions that merpeople have taken something of Harry’s and that he must retrieve is from the Black Lake. Harry, Ron and Hermione try to find a way to breathe underwater, when Ron and Hermione are called to McGonagall’s office. Harry’s other friend and classmate Neville tells Harry about gillyweed, which, when eaten one grows gills and webbing between the fingers and toes. During the second event, Harry swims through weeds to where Ron, Hermione, Cho Chang, and Fleur’s sister are chained. Cho is retrieved by Cedric, Hermione is retrieved by Viktor and Harry retrieves Ron and Fleur’s sister, since Fleur doesn’t make it. The Final event arrives where a huge maze has been set up, in the center lays the Triwizard Cup. The first to touch the cup wins the task. Cedric and Harry are first to lead the woods first, since they both received first and second place in the previous events. Fleur and Viktor are the first to fall out of the event. Therefore, leaving only both of Hogwarts champions Cedric and Harry, who both grab the cup at the same time. Although, not knowing the cup was a portkey they are both sent to the graveyard, where Wormtail (a death eater) appears with a form of Voldemort. Upon command from the dark lord, Wormtail kills Cedric and binds Harry to a tombstone. Wormtail starts to perform a spell over a burning cauldron and drops Voldemort into it. Voldemort revives and emerges from the cauldron and summons the Death Eaters with his Dark Mark. He explains to them how he lost his powers to Harry while preforming the killing curse and Duels with Harry, in which their spells join in a chain. During this Duel Harry is visited my his parents spirits that tell him they can hold off Voldemort for a few seconds and in that time He needs to get to the cup. Cedric’s spirit also appears and asks Harry to take his Body back to his Father. Harry breaks from the spell chain and gets to Cedric’s body summons the cup and is transported back to the school where everyone cheers Harry on, but that’s when they learn that the Dark Lord is back and that Cedric has been Killed. Alastor “Mad-eye” Moody takes Harry to his office to help Harry calm down. Moody’s appearance starts to change that’s when he realizes that he has run out of Polyjuice Potion. Moody asks Harry how the Dark Lord looked in the Graveyard and that’s when Harry realizes that he had not mentioned anything about the graveyard to Moody. Moody then tells Harry that it was he who told Hagrid to lead Harry into the woods first, he was also the one who told Cedric to open the egg underwater and he’s the one who gave Neville the book that led him to discovering gillyweed. Harry figures out that Moody was the one to put his name in the Goblet of Fire and bewitched Krum. As Moody is about to kill Harry, Dumbledore, Snape, and McGonagall burst in the room and save Harry. Snape makes Moody drink a truth potion and Dumbledore makes Moody admit that he is an imposter and finds out that the real Moody is locked in a chest. The imposter changes back to his own appearance and turns out to be Barty Crouch Jr., a Death Eater working for Lord Voldemort. The tournament ends and the rival schools depart. I personally have never read the books, but still have to say this was an extraordinary of movie, that is hard to follow, but yet easy to understand also. Each of the three tasks was well played with special effects and music. It’s full mystery till the end, when you find out how Harry Potter’s name really got in the Goblet of Fire. Although Daniel Radcliffe, Rupert Grint and Emma Watson are much older than 14, they were still very convincing with the maturity level they played in the movie. The Yule Christmas ball was absolutely spectacular and I’d have to say Ron’s dress robes matched his character with humor. Hermione is depicted less of the know it all and wisely gives advice to Harry. Ron plays a well hatred of a friend, but soon after realizes that Harry was telling the truth and really needed his friend. Also, a credit to Ralph Fiennes who plays Lord Voldemort does a wonderful job playing evil. Overall I would rate this movie a 10/10. There was never a time in the movie where I felt that a scene was boring or it was carried on too long. The movie flowed in a timely order and was very mysterious till the end. All the characters in the movie must receive some sort of credit whether they had a big part or just a small one. The special effects, sound and music made it more exciting and sort of made it feel like you were in the movie rather than just watching it. This is the type of movie you can watch once a week and still you won’t get tired of it, because every time you watch it you notice or realize something new that you wouldn’t remember seeing the first. This is a type of movie for those who have never experienced a true Bollywood musical with a cinematic twist into the history of India. 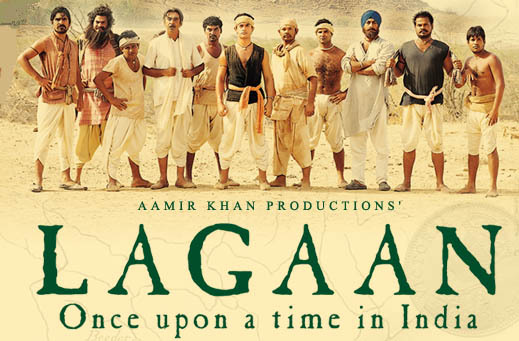 “Lagaan: Once Upon a Time” is a movie based on the inspiring story of the villagers who face a non-violent struggle against injustice and contrary of the British rulers. “Lagaan” which means “tax” (in the form of grains), is a story depicting a small village by the name of “Champaner” in Central Indian during the British Rule in 1893. In this small village of Champaner is made up of a community of poor and innocent farmers who are happy plowing, sowing and praying for the rains and reaping harvest. Captain Andrew Russell, the British captain of the nearby cantonment, demands double of the usual Lagaan (Tax) from the villagers. The village’s representatives then go to meet with Captain Russell to explain the monsoons had not been adequate and as a result crops had suffered. Captain Russell decides to challenge the villages to a game of cricket with his team after three months. The captain knows that the villagers are ignorant of the game and its rules and therefore be beating retreat against his trained players. A young villager named Bhuvan accepts the challenge and starts to build his team of villages for the game with their colonial rulers despite the ignorance of the game. Now comes to their aide the army captain’s younger sister Elizabeth Russell. Elizabeth finds the competition unfair to the Indians and decides to help Bhuvan and his friends, teaching them how to play cricket. First Elizabeth helps with pure sympathy for them but later she grows affection for Bhuvan. Although in respect Bhuvan see’s Elizabeth as a friend helping and nothing more. Elizabeth shows them and teaches them how the game is played and the rules that follow in the game. The team uses a large stick in place of a bat and a round stone as a ball. Each player is assigned certain tasks while the tension of the actual match draws closer. Word gets around and people from miles away come to watch the match. This match now has become a prestige issue, and the British High Command makes it known that it will not stand to lose face at any cost. Finally, the day arrives and the match begins. Bhuvan and the villagers hope that they have covered all potholes, and hope for a miracle. But what the two had not banked on was treachery at the hands of one of their very own players, who had accepted a bribe from Captain Russell, to ensure that the Indian team loses. Bhuvan and his team play a spectacular game against the British. Bhuvan’s defeat of the British team leads to the disbanding of the humiliated cantonment. In addition, Russell is forced to pay the taxes for the whole province and is transferred to Central Africa. This was also when India won the Cricket World Cup in 1983. This movie not only has a great storyline, but also opened my eyes to a part of history that India went through but battled their way out. This story stretches out to an open audience of all ages, for those that don’t know much about the history of India this movie would be a good start. The movie overall shows you how the villagers live and work together as a team. It also shows how the British rule upon India. After learning the back ends of a cricket game, one they have never played was a great start for India. Today India continues to play cricket in hope to win another championship. Aamir Khan takes his role in a fascinating step as he draws breathes from the air of the adobe he calls home and play’s a well balanced Bhuvan in the movie. He portrays his character in a way that it puts you inside Bhuvan’s psyche and enables the viewer to understand the character from a demeanor alone. His piercing eyes stare sharply like a hawk, catching his prey through the camera and leaving a haunting impression on an unsuspecting audience, drawing them deeper and deeper into his world. Captain Andrew Russell’s character is brought to you by the talented Paul Blackthorne as he takes you perfectly into the eyes of his character that reflects his British pride that’s menacing and hostile. He performs with a well balance and bounces off the supporting cast with a great ease. Harry Potter, Ron Weasley and Hermione Granger’s are in there second year at Hogwarts School of Witchcraft and Wizardry, but their year doesn’t seem to go quite well. People of the school are turning up petrified and bloody writing seems to appear after one is found petrified, revealing to everyone, that someone has reopened the chamber of secrets. Although, the attacks continue, bringing the possibility of Hogwarts to close. Harry attends his Defense against the Dark Arts class with Professor Gilderoy Lockhart and learns that he is a Parsel-tongue. Whick means that he can speak and understand snakes. Soon after everyone thinks that Harry is the one that has opened the Chamber of Secrets. So Harry and his friends are forced to secretly uncover the truth about the chamber before the school closes or any ones lives are taken. Wow! This was a superb of a movie, having done a good job with the first Harry Potter movie; one shouldn’t be surprised with Chris Columbus’s work on directing the sequel so well. Those who say it is superior to the first film are right: Sorcerer’s Stone was wonderful but the what the sequel does for Harry Potter is like saying what the Empire Strikes Back did for Star Wars – elevate it to a higher level where it will be regarded as a masterpiece in its own way. The plot was a lot tighter and cleaner then the first movie, and runs along at a fair pace enough to swoosh the two-hours away with the wave of a wand. The acting from Daniel Radcliffe, Rupert Grint and Emma Watson was criticized by so many in the first movie and still people are twittering on about them now. For crying out loud just say they were wonderful and portrayed their characters with great excellence. 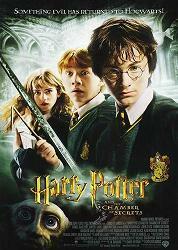 Overall, from the sweeping camera shots above Hogwarts’ highest tower to the ominous music played throughout the movie. Even for someone who isn’t a fan of the books, the storyline was easy to follow with a true moral in the end. I would rate this movie a 9.5/10. We all dream every day and well we all know that dreams are just a succession of images, thoughts, or emotions passing through the mind during sleep. Though, not everyone will remember what they dreamt about. Well at times dreams can also be a déjà vu occurring, and I know this since I have had many of those. I read this in a health article that 67% of Americans have experienced Déjà Vu in their dreams, occurring more often in females than males. I also read that in remembering your dreams, you gain increased knowledge, self-awareness and self-healing. Dreams are an extension of how you perceive yourself. They may be a source of inspiration, wisdom, joy, imagination and overall improved psychological health. Anyways, lately I became an intern for a Wed Design company and well I’m learning all I can about all the major tasks I’ll be taking up, since I know I can’t do it without having a little knowledge about the software or even just the application I am using. Anyways, back to dreaming so I have been learning more and more on an everyday bases, but some days seem to continue on longer then I thought. Meaning well yesterday I was working on my blog site and changing the appearance and what not. Well after going to bed, my dream started out by seeing my blog site with no changes and gradually as the night went on more changes took place. This is where the déjà vu comes into place also, sitting at my office desk (which I am doing now) I’m writing a new blog and the topic is Dreams. Wow, have to say that is super weird. Dreams are a fascinating part of life; I mean there are some many different types of dreams. Like some of the common dreams for example chasing dreams, flying dreams, test dreams, falling dreams and oh even naked dreams that are so embarrassing, but then if you think about it, guess what it was only a dream. There are dreams based on themes like animals, to see animals in your dream, you have to represent your own physical characteristic, primitive desires, and sexual nature, depending on the qualities of the particular animal. Overall I think dreams are awesome and at times glad to have some of my dreams while others I could have done without. Dreaming is a part of nature and life, and well without it I think it would be a boring sleep. Knowing that I go through at least a few dreams in a night is definitely a WOW factor, but what’s more of a WOW is that you can at least remember one if known. The name “Bollywood” is obtained from Bombay (the former name for Mumbai) and Hollywood, known as the center of the American Film Industry. Nevertheless, unlike Hollywood, Bollywood does not exist as a substantial place. Bollywood films are packed with musicals consisting of songs and dances; they have comedy and dare-devil stunt thrills that are all mixed up into a three-hour long spectacular movie with a brief intermission. The movies are majority produced, making India the top movie production area in the world. In fact, India produces about twice as many movies each year as the United States. Bollywood movies are usually scenic and colorful. They’re big on visuals and filled with traditional Indian costumes. Almost every movie consists of at least one dancing and singing number, if not many. Musicals are not a special genre for India’s movies, but rather a vital part of every script. The movies stay mostly family friendly, with none of the sexual content as seen in Hollywood movies. Bollywood stars receive a fair well amount of attention, though far less salary depending on one’s demand. They play a well share of similarities with the Hollywood stars in many ways, for instance going to exclusive restaurants, wearing designer names, and also are hounded by paparazzi on a daily basis. They make sensational headlines and are swarmed by fans where ever they appear. Some of the acting scales are very close to Hollywood stars also. From time to time you will also see Bollywood actors working with Hollywood actors in Hollywood based movies. For example the Actress Aishwarya Rai appeared as a female Indian warrior from Kerala named Mira in Doug Lefler’s Epic film The Last Legion alongside Sir Ben Kingsley, Colin Firth and Thomas Sangster. And in 2009 she appeared in Harald Zwart’s spy comedy film The Pink Panther 2 playing the role of criminology expert, Sonia Solandres. Another great Actor Amrish Puri as Mola Ram a demonic priest who performs rituals of human sacrifices in the action film directed by Steven Spielberg Indian Jones and the Temple of Doom (1994). 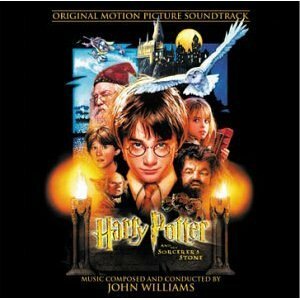 Harry Potter and the Sorcerer’s Stone is the first movie from the series of Harry Potter based on the novels written by J.K. Rowling that was released in 2001. This is where Harry Potter’s life begins. Harry Potter is a half-blood wizard and the only son of James Potter and Lily Potter. He’s a survivor of the Killing Curse, as Lord Voldemort tried to murder him when he was a child. There’s lightning-shaped scar on his forehead as a memento of the attack. Harry became an orphan after losing his parents and was taken in by his Muggle relatives known as the Dursleys, his only relatives from his mother’s side of the family. At the age of eleven, Harry started attending Hogwarts School of Witchcraft and Wizardry and was placed in the Gryffindor house by the sorting Hat. While in school he became friends with Ron Weasley and Hermione Granger. Harry Potter and the Sorcerer’s Stone is the best book-to-movie adaptation that I’ve ever seen. The sets were stunning – the actors were first rate – the effects were breathtaking. The film flowed quite smoothly in its transition from page to screen, never tripping on the awkward conventions that other books on film have struggled with. This movie is really filled with a lot of what was in the books, magic! And who says that there is no such thing as magic?! There is to such a thing as magic, maybe not in the real world but in this movie and all of the rest of the Harry Potter movies, there is magic, magic is great, it can be fun, useful, deadly, exciting, and most of all, it can at times be very realistic looking, I know that a lot of the spells that I have seen in other movies have looked very realistic, and other ones that I have seen have really just cooled look. Harry ‘s character is projected to be so adventures, exciting, and interesting, Ron’s character is projected to be very funny and outgoing, and Hermione’s character is projected to be smart, funny, and understanding. I believe that all three of the main characters were well played by Daniel Radcliffe as Harry Potter, Rupert Grint as Ron Weasley and Emma Watson as Hermione Granger. Overall I would give the movie an off the chart rating. After watching Harry Potter and the Deathly Hallows Part 1 – It very successfully portrays the despair-filled journey of the wizardry trio. With dark undertones running through the cinematography, Part 1 of the Harry Potter finale is the film that deals more with the emotional stagnation of the characters and spends less time with action scenes and major plot points. The special effects have reached a new high point with the trick of using poly-juice potion to create multiple Harry’s. The frenetic escape of Harry in Hagrid’s motor sidecar is an achievement in action editing. The trio’s penetration of the Ministry of Magic to get the locket horcrux is very exciting and tension-filled. Overall the movie was great it had a good flow to it, you become attached to the characters and the mystical world they live in, the story had a lot of excitement to it and there is always something interesting going on. I believe that this was the second most well developed movie apart from Harry Potter and the Goblet of Fire.